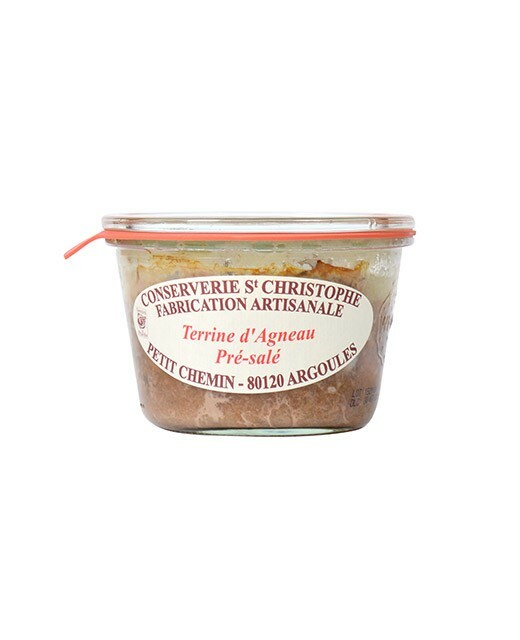 The canning factory Saint Christophe takes elaborating terroir products very seriously. 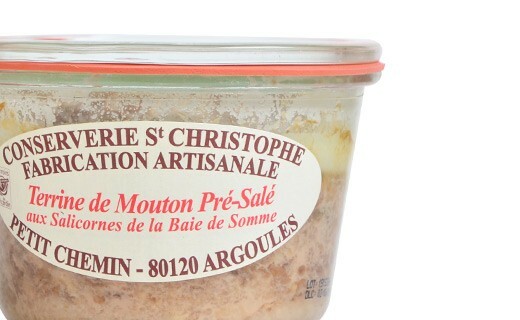 Indeed the ingredients used for the base of this Mouton de Pré Salé (saltmeadow sheep) terrine are all from the Bay of Somme; it is made with field sheep, fed with saltmeadow flora of the area. It gives its flesh a fine grain with a very particular flavor. Pork, saltmeadow sheep from the Bay of Somme 40%, Salicornia 10%, onions, eggs, Salt, Pepper, herb and spices. 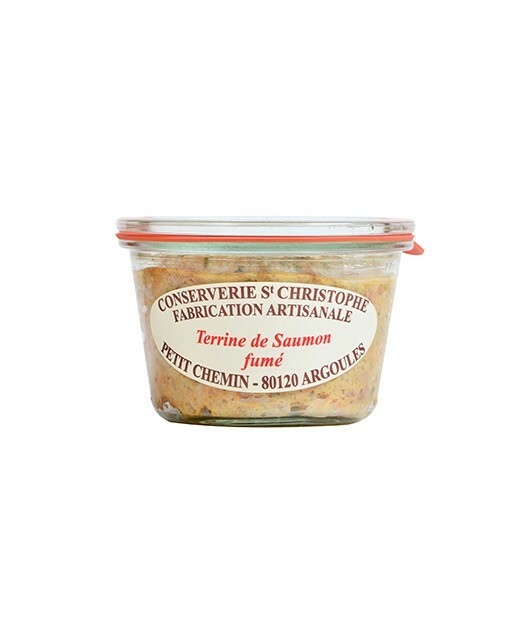 A family savoir-faire lives behind these house, which has seen its trout and field lamb terrines receive awards for their quality. 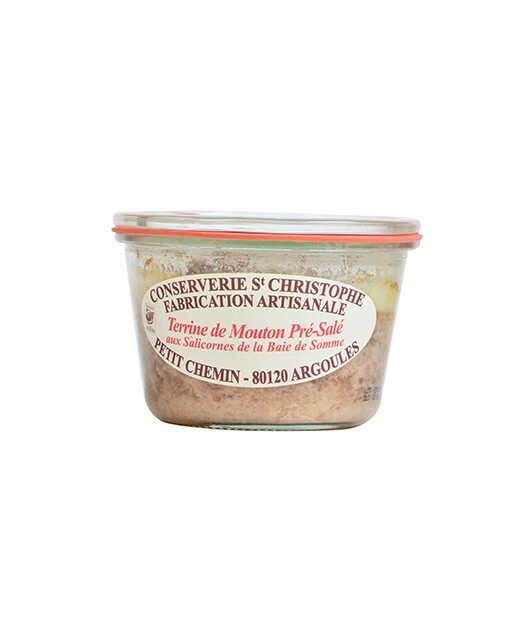 When he saw the success of his terrines and his roasted chicken in the different farmer markets of the area, Eric Van Hoost founded the Conserverie Saint Christophe. It did not take long for the family factory to gain country wide and even Europe wide success. 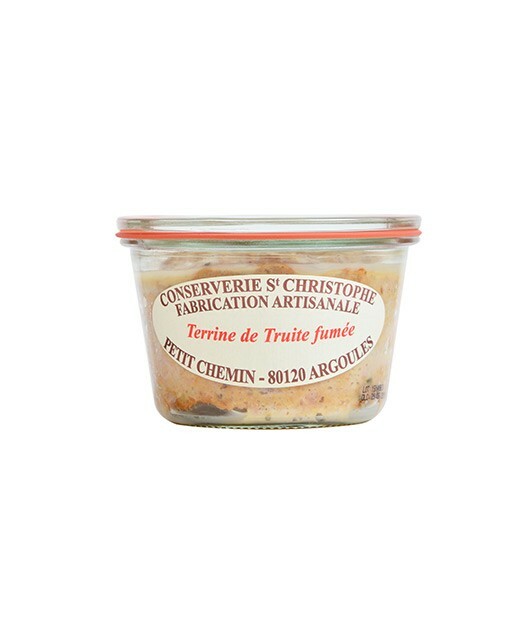 The canning factory is now located in Argoules, 20 kilometers away from the Bay of Somme, and highlights products from the Picardy and the Flanders regions.